Madison James 19250 is the perfect modest gown but is definitely not boring! 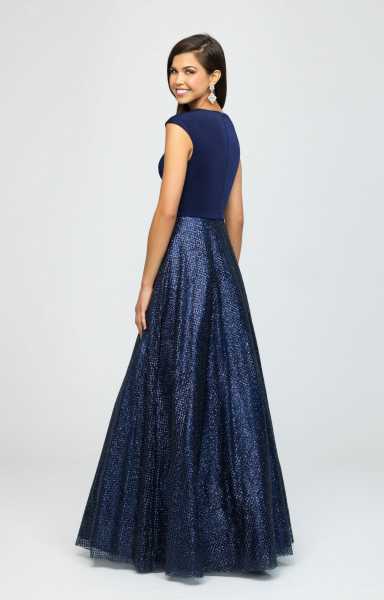 The satin top features a high neckline and cap sleeves and has a zipper close back. 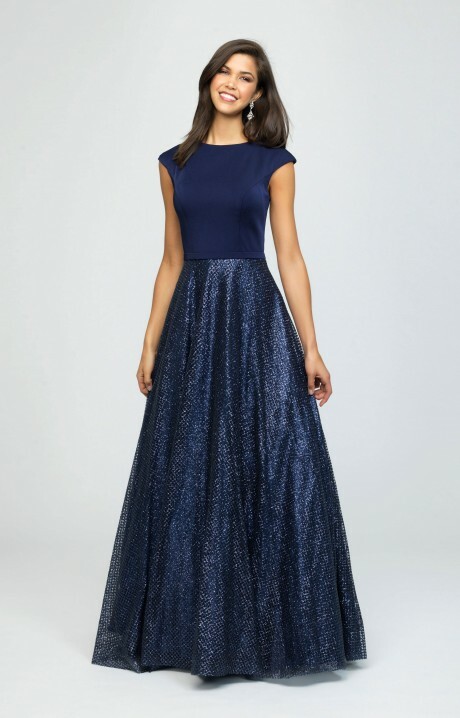 The entire skirt of the dress is covered in a embroidered glitter free flowing material making you sparkle and shine as you walk and dance the night away!